Now you don’t have to travel to receive out-of-town specialty care. Innovative telehealth technology uses the power of the internet to deliver remote specialty consultation, right from our health centers. What is telehealth, and how will it benefit you? As a Finger Lakes Community Health patient, you will have an opportunity to use our telehealth services. Simply put, telehealth is a way for you to receive specialty services from outside providers without having to leave your health center. Also known as telemedicine, telehealth delivers healthcare services in real time using a HIPAA-compliant- video conferencing system. It allows an out-of-town specialist to evaluate and diagnose you from a distance. Telehealth also enables physicians in different locations to consult with each other on your condition. It even has video and monitoring technology that enables the specialist to consider the ears and mouth, or listen to the heartbeat of a patient without being in the same room. Telehealth is not only convenient for patients and doctors, it reduces visit costs and improves the quality of care. Watch this video for one patient’s story on the benefits of telehealth. How to receive telehealth services. If you’d like to use telehealth for specialty services, be sure to inquire with your healthcare team at our health centers. In addition to your provider, our community health workers or patient navigators can help make telehealth part of your healthcare solution. Everyone is talking about telehealth, but what is it, exactly? 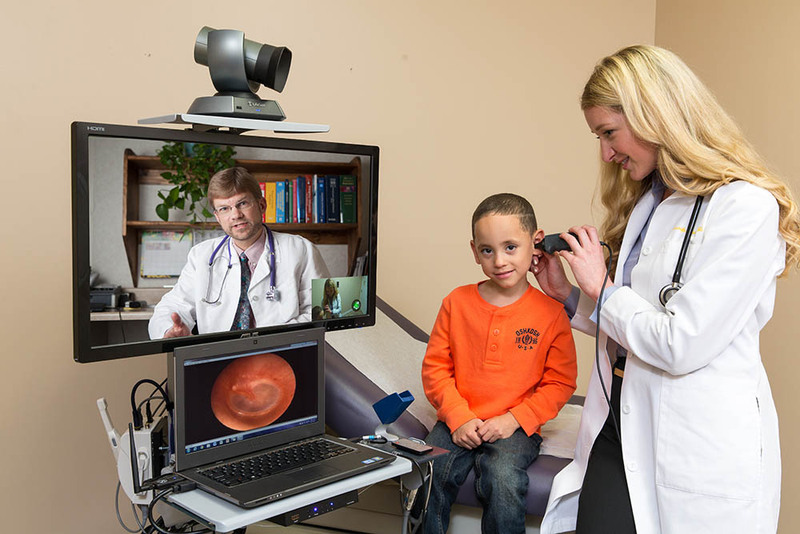 Telehealth uses today’s internet and video technology to connect you to your healthcare provider from a remote location. You no longer have to travel or take additional time off work to see a specialist. You simply come to the Finger Lakes Community Health center near you. Depending on the service, you can talk to your remote provider in real time during your visit, or have a photograph taken for them to review later. Without leaving one of our health centers, you can have an initial consultation with a specialist, do a preliminary exam, or talk with a therapist. Patients use telehealth daily at our health centers for services such as pediatric dentistry, behavioral health, pediatric neurology, psychiatry, nutrition, and diabetic retinopathy. All telehealth services are completely confidential. One of the greatest benefits of telehealth is better continuity of care. Our providers work hand in hand with specialists, which leads to better communication and outcomes. Telehealth can save you time and money, and several of our patients have stated they prefer telehealth visits to in-person visits! by Sirene Garcia, Director of Special Programs, Finger Lakes Community Health.